How Do Port St. Lucie Personal Injury Attorneys Help Victims Now? 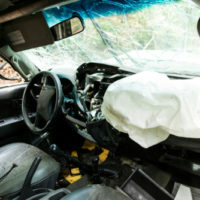 Every year, car crashes kill or seriously injure about two million Americans. These victims may be entitled to substantial compensation for their economic damages, like medical bills, and noneconomic damages, like pain and suffering. But even fairly straightforward car wreck claims may take several months to resolve. Stingy insurance companies drag their feet whenever possible. Furthermore, their lawyers scour dusty law books looking for legal loopholes which may reduce or deny compensation. Over the long term, teaming up with a lawyer is the best way to obtain maximum compensation. But what about the immediate needs that come in the wake of a serious crash? When they are hurt in crashes, many people go to their family doctor or regular physician. These individuals are fully qualified and experienced to deal with a wide range of medical conditions. But car crash injuries are a little different. They are difficult to diagnose and treat. Whiplash is a good example. In a collision, the victim’s head often moves back and forth in a sudden, violent way. Airbags and seatbelts do nothing to prevent these kinds of injuries. Whiplash is a soft tissue injury which does not appear on X-rays and other common diagnostic tests. So, many doctors dismiss early symptoms, like neck pain, as shock from the accident. So, by the time a doctor diagnoses whiplash, the condition may already be in an advanced stage that’s difficult to treat. This treatment is already difficult. Whiplash has no cure other than extended physical therapy. Most patients do not make steady progress in physical therapy. Progress comes in fits and starts. Some physicians believe that if progress stalls, the victim cannot get any better. Usually that is not true. Attorneys can direct victims to car crash injury specialists right here in Port St. Lucie. So, these individuals only deal with doctors who understand the full extent of their injuries and have solid recovery plans. In a serious crash, medical bills may exceed $100,000. Making matters worse, most health insurance companies do not cover motor vehicle crash-related costs. Medical bills are not the only issue. A serious crash usually means that the victim’s family car is totally demolished. These people need alternative transportation, and they need it right away. In a few cases, the insurance company makes arrangements for a rental vehicle. But these arrangements may not meet the family’s needs (e.g. the company will only pay for a compact car). Or, as mentioned earlier, the insurance company may drag its feet and do nothing. 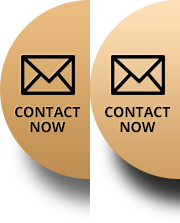 Once again, a Port St. Lucie attorney provides solutions. Attorneys write letters of protection to medical and other providers. So, the victims receive crash-related services with no upfront cost. The providers agree to wait until the case is resolved to get paid. While all these things are going on, the insurance company is relentless. A representative may call every day demanding to settle the case. Many victims are tempted to take the offer and just move on. However, they have no way of knowing if the offer is fair. An attorney handles all car crash-related business. That includes dealing with the insurance company. So, victims only need to focus on getting better. Furthermore, they have the confidence of knowing that a lawyer is fighting for them. The legal system starts working for victims from day one. For a free consultation with an experienced personal injury attorney in Port St. Lucie, contact Eighmie Law Firm, P.A. Our main office is conveniently located on Port St. Lucie Boulevard.